KOLOA, HI–(Marketwired – Apr 28, 2014) – KonaRed Corporation (OTCBB: KRED) (OTCQB:KRED), manufacturers of Antioxidant Juices derived from the exclusive, world famous Hawaiian CoffeeBerry®, coffee fruit from Kona, Hawaii, announced today that it has formally expanded its relationship with Splash Beverages Group by signing a Sales and Marketing Agreement to complement the Distribution Agreement. Shaun Roberts, CEO of KonaRed, said, “As we moved to finalize our distribution agreement with Splash, we all began to see more ways we could cooperate to further expand sales channels and support for KonaRed’s beverages. This led us to create an additional Sales and Marketing Agreement. KonaRed will benefit from a wide range of Splash’s marketing expertise as Splash’s CEO Robert Nistico did great things for Red Bull in North America and Kevin McClafferty served both as President and CEO of Marley Beverages, one of the fastest growing beverage start-ups in recent years. “We are delighted to have partnered with the KonaRed team. Robert and I have known Shaun for several years and we have the highest level of respect for each other and each other’s companies. In the early launch, KonaRed has positioned itself as a category leader in terms of product integrity, packaging, taste and functionality. I have no doubt that the KonaRed team will continue to provide Splash Beverage Group with a ‘best in class’ lineup,” said Mr. McClafferty. 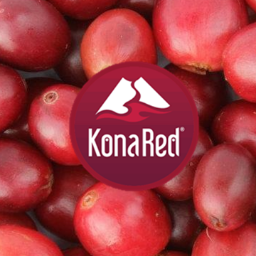 KonaRed Corporation produces health and wellness nutritional products including beverages and supplements, which bring the attributes of Hawaiian Coffee fruit to an international consumer market. Our underlying business was established on August 22, 2008 and our first sales were achieved in February 2009. KonaRed became publicly traded through a merger with an existing listed company on October 4, 2013 and trades on the OTCBB and OTCQB under the symbol KRED. KonaRed, through a licensing agreement with VDF FutureCeuticals, Inc., utilizes innovative, state of the art, proprietary processes that produce antioxidant extracts and powders from Hawaiian Coffee Fruit which are featured in KonaRed’s Antioxidant Juices, Organic Green Teas, and On-the-Go Packs. KonaRed Corporation is headquartered in Koloa, Hawaii, and its distribution is centered in San Clemente, California. KonaRed products are sold in select Whole Foods, Safeway, Sprouts, Walmart, 7-Eleven, and many other retail outlets throughout the US and Canada. More information about KonaRed and its products can be found at www.konared.com .